Kingston/Lomontville on-farm members pick up straight from farm, a beautiful spot on Hidden Valley Road, on the western edge of Kingston near the Ashokan Reservoir. The CSA season runs from the beginning of June through the end of October, and pick-up is Tuesdays or Saturdays. We’re now accepting registrations for the 2019 season. You also have the option to purchase several add-ons, including fruit, mushrooms, eggs, and maple syrup (details on add-ons are here, and you can select them on the registration form). We offer a free choice model, where you get to pick what’s in your share from the harvest week to week, selecting from a variety of veggies based on total points. We’ll usually have about 15 items available to choose from. You will be able to choose 7 or 9 units of those items. A unit may be two pounds of tomatoes, a big bunch of kale, a bag of salad mix, a pumpkin, etc. 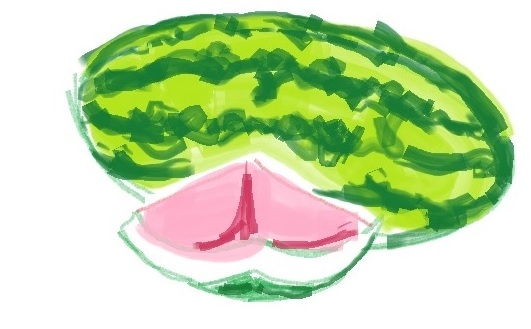 We’ll occasionally limit an item in a given week (ie, “maximum of 1 watermelon this week”) to make sure that every member – even if you come at the end of the day – gets a complete selection. There will be plenty of everything to go around! For Tuesday pick-up members, we put out all items for you to select from, under the covered awning of our CSA pick-up area. We always harvest of each item, so don’t worry about popular items running out early. One of us will be there each week to greet you and answer any questions. For Saturday pick-up members, we pre-box the shares. We will email you a very simple form each week a few days before pick up for you to select your items from what’s in season that week. We pack your share in a box with your name on it, so it’s easy to pick up from in the walk-in cooler. If you forget to fill out your form, or if you prefer the simplicity of the regular assorted box (the “farmer’s choice”), just ignore the form and we’ll take care of it! We’ll be around to answer any questions, and to make sure you know where to find your share. And don’t forget that you’ll be able to access our pick-your-own garden every week during pickup. We’ll be growing herbs, flowers, cherry tomatoes and more. We’ll let you know at pickup each week which parts of the PYO garden are open for harvest. The PYO is open to all members, whether picking up on Tuesday or Saturday (and Catskill and Saugerties members are welcome to come down as well! ).